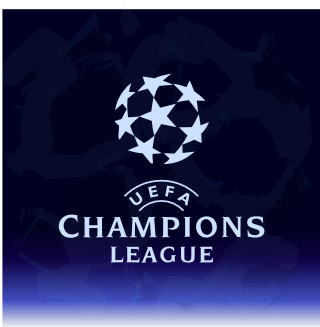 The UEFA Champions League is the most important football competition in Europe, and acts as the european counterpart to South America's Copa Libertadores. It's a championship between the most successful clubs of Europe which has been held yearly since 1955. Although the clubs disputing this title are all European, they have in their squads some of the best players from all parts of the world. The tournament has many stages: three knockout qualifying rounds and a play-off round, then a group stage, then the the final knockout phase. Not all teams have to pass through all those phases, though; the top teams from the top leagues don't have to pass through the qualifying rounds. The group stage consists of eight groups of four teams (32 clubs in total), each team playing the others in home and away matches with the two top advancing to the knockout phase. Knockout is mostly two-legged matches as well, the exception being the final, which is held at a pre-determined location. For those who get the chance to compete in it, it offers huge amounts of prize money and TV exposure and is the pinnacle of European club competitions. It showcases some of the finest football in the continent and generally some of the most epic games you could ask for. The competition has been dominated mostly by English, Italian and Spanish teams since its start, with Real Madrid having won it a record twelve times in their history (including the first 5 finals); however, clubs in France, Germany, Holland and numerous other teams have lifted the prestigious trophy at times. It ranks as one of the most popular sporting events in the world; the final of the competition is on par with the Super Bowl in that both events can draw in over 100 million spectators each year. It's easily one of the most important dates in a soccer fan's calendar. Always a Bigger Fish: Invoked in 2003-04 when José Mourinho said his Porto side could not be expected to swim with the sharks. Awesome Yet Practical: Flashy teams such as the 2011 Barcelona. Big Damn Heroes: Goalkeepers have a habit of heading to the opposing goal if his team need to get a goal in the dying minutes of the final or knockout stages and they get a corner kick. And of course, bringing on substitutes for that same purpose. This happened in the 1999 Final - Manchester United were a goal down as they headed into injury time. Teddy Sheringham & Ole Gunnar Solskjaer had both been brought on, and United got a corner kick, which lead to goalkeeper Peter Schmeichel coming forward. Sheringham wound up putting United level - this demoralised the Bayern Munich so much, that after the restart, United immediately regained the ball, and within a minute, had got another corner, which lead to Solskjaer scoring the winning goal. Big Damn Heroes, indeed. Arsenal's Jens Lehmann was considered one of the best players of the 05/06 competition, pulling off several great saves and even one from a penalty to get Arsenal to the final, however he then got a controversial sending off in the final and Arsenal lost 2-1. 2002 final. César, who had been Real Madrid's starting keeper for most of the season, gets injured and is replaced by Iker Casillas, who along the season had been in a bad patch. In the last fifteen minutes, Bayer starts to bombard Madrid's goal with several shoots, several of them in the last few minutes on corner kicks, and Casillas stopped them all. Real Madrid ends up winning 2-1. There is a reason Iker is nicknamed "The Saint". Bonus Material: The FIFA World Club Cup. Prior to it, the Intercontinental Cup, with the champion of the Copa Libertadores. Boring Invincible Hero - Real Madrid won the first five European Cup trophies, and would go on to win four more. Justified in which, by the time, they had some of the world's best players signed: Alfredo di Stéfano, Ferenc Puskas and Raymond Kopa, among others. Boring Yet Practical - Overtly defensive teams like 2012 Chelsea. Cheaters Never Prosper - Constantly averted, but most spectacular in 1993 when Marseille won the European Cup, and were subsequently convicted of match fixing in a French League tie the previous week. Due to this, they lost the right to represent Europe in the 1993 Intercontinental Cup to the runners-up, AC Milan, but since the fixing scandal happened in the Ligue 1, their CL win was eventually acknowledged. Clumsy Copyright Censorship - UEFA do not allow corporate names for stadia in their tournaments. So, for example, they refer to the Emirates Stadium as the "Arsenal Stadium". Do the broadcasters do this? No. Consolation Prize - Relegation to the UEFA Europa League! Curb Stomp Battle - In the 2011-12 season alone, we've had HJK Helsinki thrashing Bangor City 13-0 on aggregate in the second qualifying round, Real Madrid and Lyon thrashing Dinamo Zagreb, 6-2 and 7-1 respectively, Chelsea and Valencia thrashing Genk 5-0 and 7-0 respectively, Barcelona thrashing BATE Borisov 5-0 all in the group stages then in the knockout round, we've got Barcelona thrashing Bayer Leverkusen 10-2 on aggregate and Bayern Munich thrashing FC Basel 7-1 on aggregate in the knockout round. Curse: Juventus and Barcelona both seemed cursed in the tournament until the 90s; Juve's one win up to 1996 had come on a day when 39 of their supporters died, Barça had never won the tournament until 1992 despite being one of Europe's top teams. With those curses dead, London clubs currently seem the most cursed, the drought ending with Chelsea's 2012 victory against Bayern Munich. Real Madrid, with a record 9 CL, unfairly fired Vicente del Bosque, who won the last one as their coach, in 2002. That year they hit the quarterfinals with the same team and, since then, they spent 6 years without getting the round of 16 despite having world class players. Plus, during that time, the team who beat them would always lose to the eventual Champion. Deus Ex Machina - The away goals rule sends one team out without losing in many matches. At its most Egregious in the 2003 semi-final when AC Milan defeated Inter on away goals. They share a stadium. Deus Exit Machina - What if the big teams of Europe all collectively failed in the same year? You might get a final between teams as small as Nottingham Forest and Malmö. 1978-79 actually saw this happen. Eleventh-Hour Superpower: Man Utd in the aforementioned 1999 final! Every Year They Fizzle Out: Chelsea. Diabolus Ex Machina: They have been beaten in the later stages in some of the most bizarre and cruel ways. In 2005, they lost to Liverpool in the semi-finals by a single goal where the ball may have not crossed the line. In the 2008 final, they lost on penalties to Manchester United because their captain, John Terry, slipped when taking the decisive fifth penalty and missed - had he scored, Chelsea would have won. And in the 2009 semi-final, they went out on away goals to Barcelona; they were denied two arguable penalties by Norwegian referee Tom Henning Øvrebø, who also sent off FC Barcelona's left back Éric Abidal for no reason, and went out to a last-minute equaliser. Finally Averted in 2012. A Chelsea team that fired their manager mid-season went on an amazing run all the way to the finals (steamrollering Napoli, Benfica and Barcelona in the process), where they beat Bayern Munich on penalties at their home stadium. They had finished 6th in the Premiership, and if they failed to win, they would not qualify for the Champions League the next year. Football Hooligans: A terribly tragic example in the 1985 final when Liverpool supporters were responsible for the deaths of 39 people, mostly Juventus fans, after an incident at the Heysel Stadium in Brussels. It turned out English hooliganism was Not So Harmless and the English clubs were thrown out for 5 years, which would eventually lead to English Football's redemption when this and the tragedy at Hillsbrough forced several new regulations to be implemented. It's worked for the most part. Five-Token Band: Many of the clubs are like this, given that they hire the best players from all around the world. More prominently African footballers, be they naturalized or not. A notable example was the Inter Milan team who won the UCL in 2010. They had 3 Brazilians, 4 Argentinians, a Romanian, a Dutchman, a Macedonian and a Cameroonian in their starting line-up. The only Italian that actually played that match, entered the pitch at minute 90+2. Justified in that case, as Inter Milan was founded explicitly to allow foreign players to play football in Milan. The other Milan based club, AC Milan, only accepted Italian born players in the early 1900s. Homogenous Multinational Ad Campaign: The whole tournament is pretty much one of these - although alcohol advertising laws in various countries have necessitated variations on Heineken's logo. Honest John's Dealership- Rangers supporters in 2010 were held at the DW Stadium in Wigan prior to departing for Manchester to prevent a repeat of their violence in the City in the 2008 UEFA Cup final. So the Wigan club shop sold some Rangers shirts! I Fight for the Strongest Side: Most players in this tournament attempt to do this, with mixed results. Iconic Logo: The ball of stars. Irony: Real Madrid brought spent £200m on bringing in top stars such as Cristiano Ronaldo and Kaka in to the club at the start of 2008-09. To make room in their squad, they sold Dutch starts Wesley Sneijder and Arjen Robben to Internazionale and Bayern Munich respectively. Real failed to get past the last 16, whilst Inter and Bayern, largely inspired by Sneijder and Robben were able to reach the final - in Madrid! Karma Houdini: So many cheats that this is inevitable. Kick the Dog: In 2000 the Spanish authorities could either have entered qualified 4th placed Real Zaragoza or European Champions Real Madrid. They denied Real Zaragoza the Champions League money, they have not nearly hit those heights since. After a repeat performance in 2005, where Liverpool failed to qualify through the domestic competition, UEFA allowed Liverpool into the first qualifying round as a wildcard and changed the rules to give the title holder an automatic berth, after the FA decided to defend Everton's right to enter. And now UEFA are back to kicking the dog, stripping Spurs of their champions league place and awarding it to Chelsea instead. Miracle Rally: Liverpool coming from 3-0 down to win on penalties against AC Milan in 2005. Achieved twice by Chelsea in the road to their 2012 Championship. In the second round, they overturned a 3-1 first leg deficit against Napoli, beating them 4-1 in extra time. Then, against Barcelona in the semifinals, they overturned a 2-0 deficit to draw 2-2 and win 3-2 on aggregate. Whilst down to ten men for much of the game. New and Improved: In 1992 the "European Cup" became the "UEFA Champions League". By 1998 they'd let non-champions in. Nominal Importance: The teams in the qualifiers include the Champions of countries like San Marino, Andorra and the Faroe Islands. It sems like the UEFA just wants to get rid of them before the real competition starts. Non-Indicative Name: The Champions League is neither a league nor is it for champions only anymore. No Sense of Direction: John Arne Riise's tie-swinging own goal in the 2008 semi-final against Chelsea counts as this. Opposing Sports Team: Inter Milan in 1967 serves as the bad guy to Celtic's good guy, even down to the black (and blue) kit. To go in depth, the Inter Milan of this era were using their infamous Catenaccio tactic (literally meaning "door-bolt" in Italian), in which they'd score one goal and lock up shop. Celtic are more known for their more attacking football. The most prominent statistic is how Celtic 42 shots compared to Inter's 5. It was seen as a victory for football, and it was a huge achievement for Celtic. Put Me in Coach: Ole Gunnar Solsksjaer and Teddy Sheringham in 1999 for Manchester United. Redemption Quest: AC Milan playing Liverpool in the 2007 final. Fernando Torres in the 2012 semifinals against defending champions Barcelona. The former Liverpool star spent his first years in Chelsea in bad shape, almost always getting dispossessed and missing open goals. Then his team came calling against what was considered to be the strongest team in the world, and he scored the deciding goal that brought the underdog Chelsea into the Finals. Days later, he scored a hat trick in the domestic league, convincing everyone that he is indeed back. Royal Brat: Real Madrid at times. Screw Politeness, I'm a Senior! : Alex Ferguson moaning about 'typical Germans'. Screw the Rules, I Have Money: Dynamo Kiev were expelled from European competition for giving referees fur coats. Stealing From the Till: Fernando Morientes in 2003-04 playing for AS Monaco against Real Madrid, while on loan from Real scoring the goals that knocked out the Spanish team. Most teams insist that their own players do not play against them, but Real have been a bit of an Incompetence, Inc. in recent years. Stupid Boss: Real's various presidents have been at times! The Trickster: Give it up for the master of modesty José Mourinho. When Chelsea manager he sneaked into his teams dressing room during half-time of a match he was banned from by hiding in the laundry basket. At Real Madrid, he orchestrated two of his players to be sent-off so their bans would fall on a dead-rubber, clearing their record for the important games! Too Soon: Played matches on the night of September 11, 2001. Realised the insensitivity of this and cancelled the matches on September 12, 2001. Media Research Failure: In a very tragic example, some media picked images of Galatasaray fans celebrating their victory against Juventus that day and presented them as if they had been celebrating the attacks on the U.S. The Unexpected: You can be surprised of the teams (and countries) who made to the group stage and clash with the titans. Weak but Skilled: Rangers' defending to get a draw at Man Utd in 2010-11.
Who Needs Overtime: Man Utd 1999, scoring the equalizer and winner in stoppage time. This page was last edited on 10 October 2017, at 00:02.